Yay! I managed to make my Hawthorn dress in time for the sewalong! 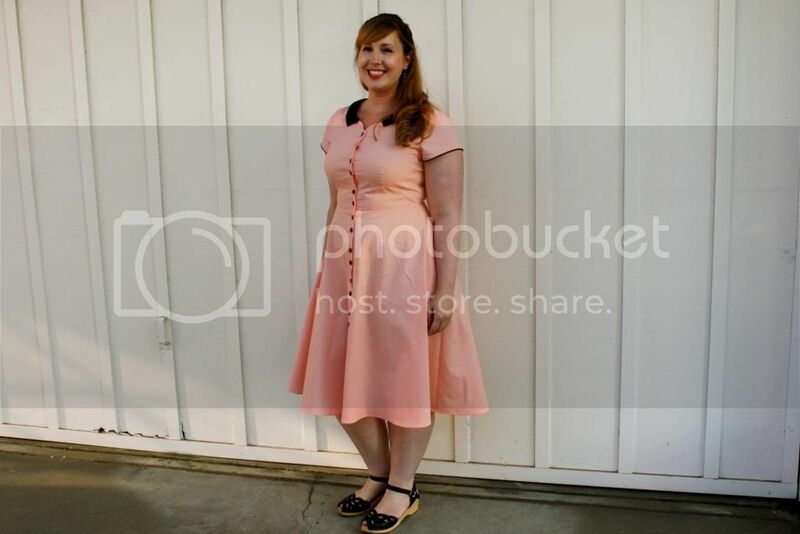 It was quite a challenge to get this dress done in between work and all of the Super Online Sewing Match projects. For some reason, it’s hard for me to switch back and forth between sewing projects- I think I do a better job when I’m able to focus on one at a time. Anyway, it’s done and overall I’m pretty happy with it, though there are a few little things I would do differently next time. 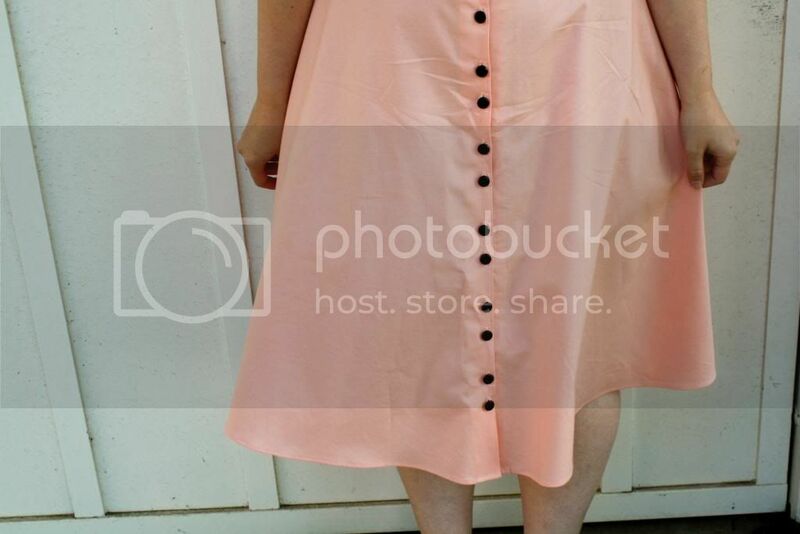 I was inspired to do the peach and black color scheme and the paired buttons by this dress from Dear Golden Vintage. Are any of you familiar with their shop? They always stock the most amazingly gorgeous vintage clothing. 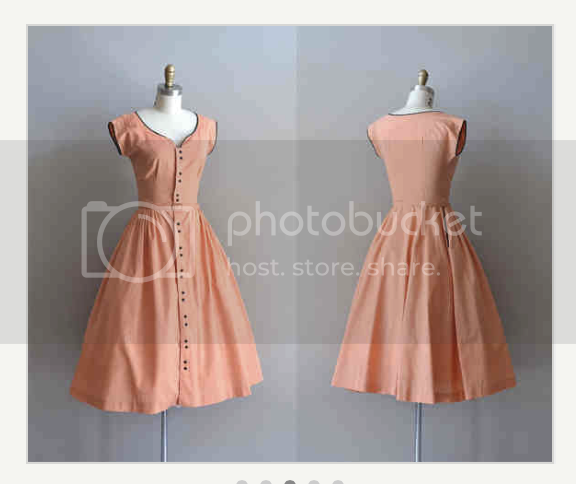 I often bookmark pictures from their shop for future sewing inspiration! This particular dress is one of my favorites, so I’ve been eager to try to make my own version and I thought the Hawthorn seemed like a great pattern for it. 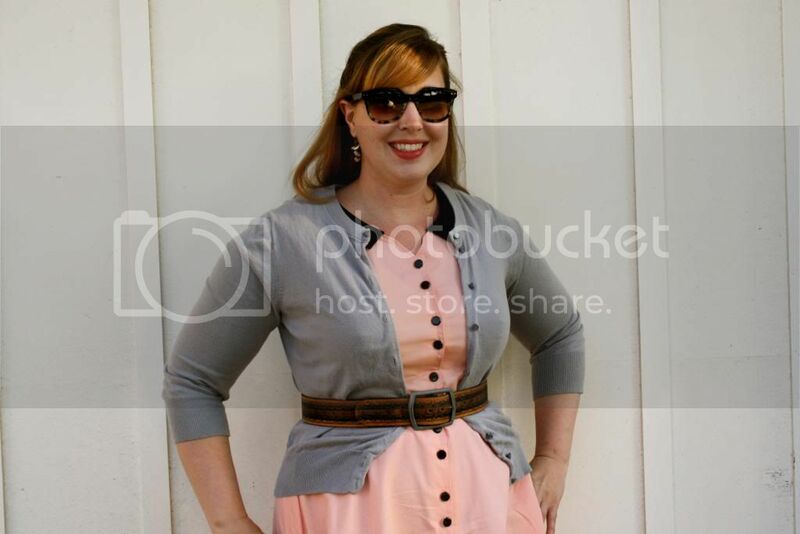 I made the dress out of a cotton broadcloth. I think it’s more meant for quilting and its a tad heavy for a dress. Unfortunately, we have a pretty limited number of fabric stores in our area so when I’m looking for a particular color quilting cotton is usually the only option. Anyway, it’s still a cool and comfortable fabric to wear. I made a few little modifications to the pattern. After making a muslin, I shortened the waist by about an inch and I took in the bodice back. I lengthened the skirt by three inches (I only made a small 1/4 inch hem). I also shortened the sleeves and added piping to the edges. Like I mentioned, there were a few things I’ll make sure to do differently next time. First of all, I accidentally sewed the collar on with the interfaced side up, which made it stick out in a weird, Judy Jetson-esque manner that no amount of pressing would correct. I should have unpicked it all and turned it around, but since I was running short on time I decided to just tack the collar down. I also messed up on the buttons a bit, putting them too close together at the waist. I’m also not totally happy with the bust dart, which still looks a bit puckery for my liking. Oh well! 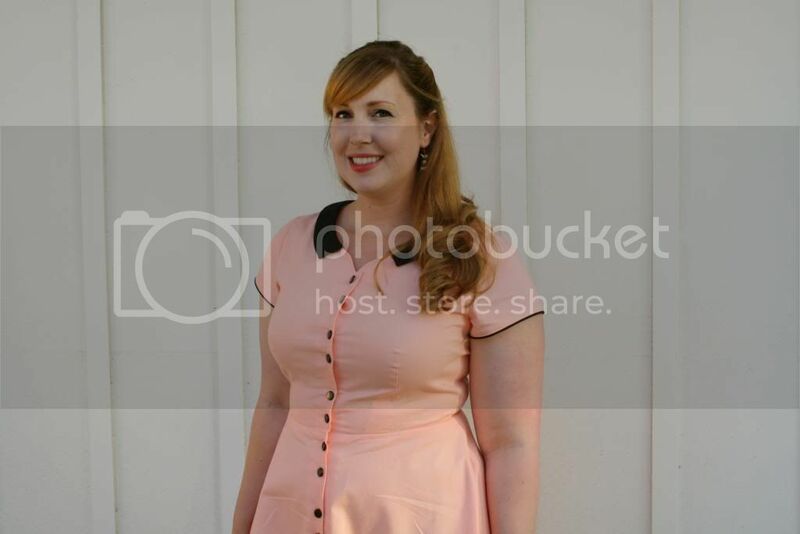 Despite the few issues with this dress, I really enjoyed sewing this pattern. It was easy to follow, as all of the Colette patterns are, and I’m excited to make a couple more now that I’ve gotten the fitting worked out. Maybe a peplum top next? 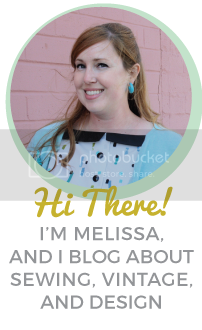 Thanks for checking out my dress! Have a great week!